Aaaarrrggghhhh – There’s a Spider! Did you notice our reference to the noise most people make when they find a spider? You did? Good. At this time of year, you’re probably noticing some wonderfully ornate webs hanging between different trees, walls, posts and pillars in the garden. Especially in the morning, as the dew glistens delightfully from the perfectly weaved web the scene can capture nature in its full beauty. Unfortunately for some, right there in the middle, is a big, eight-legged creature, that despite its tiny size, you might think is capable of eating you whole. The reality is though that garden spiders an actually be incredibly helpful when it comes to supporting the bloom in your garden. How many types of spider are there in my garden? Well, according to the British Arachnological Society there are hundreds of different types of species of spider in the garden. Common types include the garden spider, mouse spider, money spider and jumping spiders. They all play a clear, practical role in the ecosystem of the garden and trying to get rid of them is pretty much pointless. Kill the spiders that are there and guess what…. More will just come inn and fill the void they left. If they bite me will me arm fall off? Are garden spiders poisonous? In the unlikely event that you get bitten by a spider then the chances are you will receive nothing more than a small swelling and a bit of annoying pain that usually subsides pretty quickly. Spiders usually only bite when they feel threatened and when left to their own accord will let you get on with your day. According to statistics less than 30 types of the 43,000 different species of venom in the world have issued bites that have led to a human death. We reckon that’s about 0.07% of spiders. Spiders huh? What are they good for? Absolutely everything, when it comes to the garden. Jokes aside spiders are a vital part of your garden’s ecosystem. In fact, it’s not just outdoors where they can be of benefit. Spiders prey on flies and other bugs for their food. 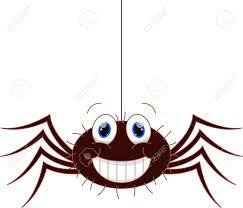 As you’ll probably know when a spider catches insects in the web they become food for the next spidey meal. When you’ve got spiders in and around the home they’ll actually prevent your property becoming overrun with insects and it’s the same in the garden. A healthy supply of spiders will help to manage the population of other bugs too. So in short it’s good to have a few spiders knocking around. When you consider them effectively in the management of your garden they can help oversee the ecosystem so you don’t need to resort to harmful chemicals. By using any of our Grazers range. you have total peace of mind that what you are spraying is safe and non harmful to people, pets and planet (and spiders! ).